According to data from the National Institute on Drug Abuse, an estimated 913,000 Americans met the criteria for a diagnosis of cocaine abuse in 2014 (based on their use of any type of cocaine over the preceding 12 months). Although cocaine use has continued to decline since its peak in the 90s, it continues to wreak significant havoc in the United States, destroying families and taking lives. If you have or someone you love has become a victim of cocaine in any of its forms, it’s time to seek professional treatment. Overcoming an addiction to a powerful drug like cocaine is no small task. Fortunately, there are treatment options available that can help addicted individuals break free from their dependency and take back control of their lives. Treatment centers typically offer three types of programs: residential (on-site), intensive outpatient, or outpatient. Residential programs are geared toward treating those who are still physically addicted to cocaine and require an intense level of care and oversight. Clients go through an initial detox with medical supervision and are required to live on-site at the facility. It is also fairly standard to prohibit clients from having contact with anyone outside the treatment center to protect them from negative influences while they are still in the first stages of treatment.At Yellowstone Recovery, we have two phases of residential cocaine addiction treatment: primary care and extended care. The first phase of treatment is primary care, in which clients begin attending 12-step meetings at night and participating in individual and group therapy sessions during the day. Primary care lasts for 30 days; then clients begin extended care.During the extended care phase of residential treatment, the focus begins to shift toward preparing clients for release and developing the skills needed to support their sobriety outside of treatment. Clients work with staff on things like finding employment and learning to manage finances. As treatment goes on, visitation and off-site travel become less restrictive and clients can spend more time with friends and loved ones. For those who do not need to undergo a detox period (or those who have already gone through detox elsewhere), intensive outpatient or “IOP” treatment is designed to provide all the intensive recovery resources of residential care with significantly more flexibility. The commitment required for this type of treatment falls between residential and outpatient treatment.This type of treatment is meant for those who are no longer physically dependent on cocaine and who do not require detox. Intensive outpatient treatment (IOP) is designed to be flexible enough to allow clients to continue working during rehab without sacrificing the effectiveness of the treatment.At Yellowstone Recovery, our intensive outpatient clients have the freedom to live off-site (with family or in sober living) and schedule 12-step meetings and therapy sessions around their other responsibilities. 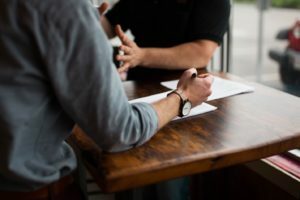 In order to stay compliant with the program, however, clients are still expected to have four group therapy sessions and one individual therapy session per week. This type of program is intended to serve as continuing rehabilitation for those who have just completed a residential treatment program. Outpatient cocaine addiction treatment clients often choose to enter outpatient treatment as part of a long-term transition plan, giving them the additional time and resources they need to be fully prepared for their return to society.Yellowstone Recovery’s outpatient cocaine treatment program allows clients to live off-site or in sober living, but still requires three group therapy sessions and one individual therapy session per week. Clients in outpatient treatment also work with a sponsor in their 12-step program. Which Type of Treatment Should I Choose? Finding the right type of treatment for a cocaine addiction can seem overwhelming at first, especially with the variation in program options. Usually, you can determine the right program by examining where you’re at in your journey and what kind of commitment you’re able to make. If you are still struggling with a physical dependency on cocaine, you might be best suited to a fully immersive residential treatment program that provides medically supervised detox and careful staff supervision. If you don’t require detox and want to be able to keep up with your normal responsibilities, an intensive outpatient program might be the best choice. Once you’ve already completed a residential program, you might consider entering a standard outpatient program. The symptoms of cocaine withdrawal can be agonizing or even life-threatening. 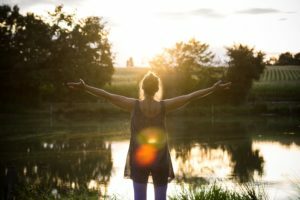 For clients going through detox as part of a residential program, however, these excruciating withdrawal symptoms can be soothed significantly. In professional treatment centers, on-site healthcare providers commonly prescribe medications to lower the risk of serious repercussions and treat painful symptoms. Because cocaine is a stimulant drug that heightens the activity of the central nervous system, the most commonly used medications for cocaine detox are aimed at relaxing the central nervous system and reducing the client’s anxiety. Examples include the seizure medication Gabapentin and the muscle relaxant Baclofen. As the dependency diminishes and withdrawal symptoms cease, these temporary medications can be slowly tapered off and discontinued. To rid new residential clients of their physical dependency on cocaine, the process begins with a safe, supervised detox period, during which medical professionals monitor patient vital signs and prescribe any necessary medications for withdrawal management. The full detox process can take a few weeks to complete, after which clients can begin counseling work. Because new residential clients can be vulnerable to outside influences and temptations, Yellowstone Recovery enforces a blackout period that disallows any contact with anyone outside of the treatment facility (no phone calls, no internet contact, no visitation). This no-contact period is temporary, but it is the key to preventing issues like relapse and early departure. Most of the work done in cocaine rehab focuses on understanding the root issues of a client’s addiction and working to replace old habits and beliefs with healthy ones that support sobriety and raise self-worth. Through a combination of 12-step meetings, group therapy, and one-on-one counseling sessions, clients receive peer support and learn valuable techniques for dealing with challenges in healthy, drug-free ways. If clients are concerned that living with family or in other housing after release will present too much stress or temptation, they have the option of choosing to live in a sober living facility. This allows them to relax in a drug-free environment and continue building on their recovery with the support of others who understand their journey. We strive to provide our clients with a full range of support, even after treatment has ended. To meet that goal, we offer a variety of aftercare resources to those who may need them. Whether a person needs to be connected to an individual counselor, a support group, or an information source, we help him or her make that link. One of the most important elements of seeking treatment for cocaine addiction is making sure you have a good team of recovery experts on your side. Before you hastily commit to the first treatment center you find, remember that getting help to overcome drug addiction is about saving your life and reclaiming your future. It’s important to find a rehab facility that genuinely meets your needs. Cocaine addiction can affect anyone, regardless of background, education, experience, or wealth. At Yellowstone Recovery in southern California, we believe that every client deserves equal respect and the highest standard of care. 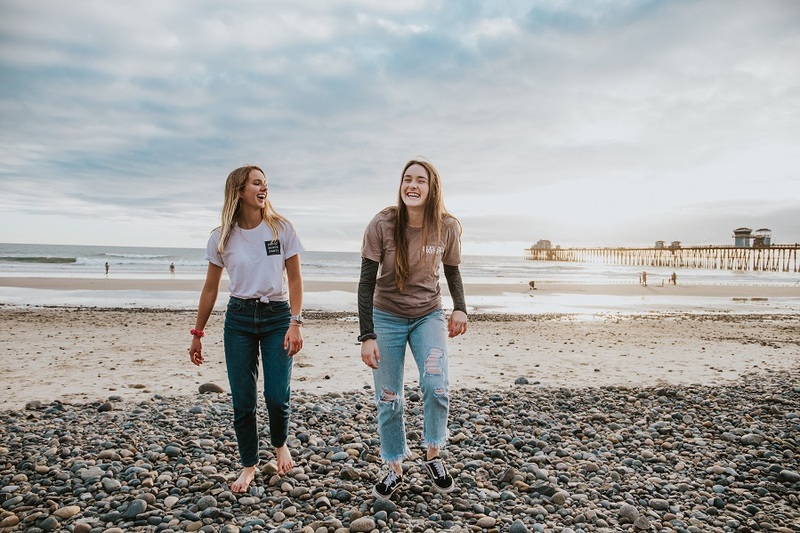 With the help of our residential, outpatient, and intensive outpatient cocaine addiction treatment programs, thousands of clients have been able to break free from the struggle of substance addiction and return to pursuing their passions. If you are or a loved one is struggling with an addiction to cocaine, the expert recovery team, up-to-date amenities, and beautiful scenery at Yellowstone Recovery can provide the healing atmosphere and exceptional treatment needed to create lasting change. Plus, our flexible payment options allow you and your family to focus on getting help instead of worrying about money. Cocaine addiction doesn’t have to be a life sentence. If you’re ready to get back to living your life, let us offer you the help you truly deserve. Call us today at 888-418-4188 to discuss how you can get started.